It's now common to find households that have two or more cars. So, whether you want to know where you can park or if it's legal for your neighbour to park over your dropped kerb, we've compiled a few answers to clear up the confusion. We've all been there. You come home after a long day of work only to find someone's nicked that last parking space. Certain areas have to put up with more parking nuisances than others. If you live near a railway station that's used by commuters or are close to a school, you'll often find that parking issues can cause real friction. This is made worse if you're without a driveway or a set parking space. Your neighbours might kindly leave the spot outside your house free for you, but this isn't a legal right. As ridiculous as it may seem, you can be issued a PCN for parking across your own dropped kerb. It's important to remember - for the most part - that drivers can park in any street, providing they comply with parking regulations and do not cause obstructions. It's illegal to park directly outside a school, on the zig-zag lines to a pedestrian crossings and in designated marked bays you don't have a permit for. Can you park over a dropped kerb? This is one area that always causes controversy. Dropped kerbs are lowered sections of the pavement that allow easier access from the pavement to the road by wheelchair users, pushchairs and the visually impaired. Dropped kerbs are also often found outside of businesses and private residences for vehicle access. Parking a vehicle fully or partially across a dropped kerb is classed as an obstruction and either the police or local council can enforce the contravention. Based on the resources a particular authority has in dealing with this, attention will usually be focussed on offences that impede those with disabilities. Complaints can be made to the local police via the non-emergency 101 number, although it's usually better to contact the local council first. Action from the council can only occur the it's the occupier of the premises involved who has complained. If the problem persists, the council can mark a white line below the dropped curb. However, the markings aren't enforceable by police or councils - they're only an advisory area as where not to park. As ridiculous as it may seem, you can be issued a PCN for parking across your own dropped kerb. To avoid this happening, contact your local council with the make, model, registration of your vehicle and confirmation that you reside at the property. Parking ticket for parking by dropped kerb - is this legal? Can someone park on my driveway? However, if you can still get in and out of your driveway and the car is fully taxed, insured, isn't causing an obstruction and is not in breach of any parking restrictions, the police cannot take any action. Ultimately, this will come down to whether your local council or police are willing to act based on their available resources and what the parking situation in your area is. If the vehicle has been untaxed for at least one month and left in the same location for a significant amount of time it can be classed as abandoned and therefore removed. You can do that here. How do I move an abandoned car that is blocking the entrance to my driveway? 'You must not stop or park partially or wholly on the pavement in London, and should not do so elsewhere unless signs permit it,' says Rule 244 of the Highway Code. It is also an offence (under section 72 of the Highways Act 1835) to drive onto the pavement, even if you aren't intending to park. This is enforced by the police, although leniency is often allowed if there isn't a lot of space for parking and the road would become too narrow without cars parked partially on kerbs or pavements. Local authorities and the police have the power to remove a vehicle if it's causing an obstruction or has been abandoned. A vehicle can only be illegally parked if there are parking restrictions operating in the area. A pavement parked car forces my daughter and pushchair onto the road to pass - is this a police or council matter? Highway Code, Rule 238: "Double yellow lines indicate a prohibition of waiting at any time even if there are no upright signs." Can a business park vehicles on my road to sell them? Under the Clean Neighbourhoods and Environment Act 2005 (part two) it's an offence to park vehicles on the street in order to sell them and to park vehicles on the street in order to carry out repairs for a business. Section three states that it's an offence for a person to park vehicles on a street in order to be sold. There must be two or more vehicles on the same street, no more than 500 metres apart, acting as part of a business for the offence to be committed. Section 4 states that it's an offence to carry out 'restricted works' to vehicles on a road as part of a business. This also doesn't apply to a vehicle that's broken down or had an accident as long as it's repaired within 72 hours. A business has parked about 15 vehicles for sale on our residential road - is this legal? Not exactly "everything" you need to know, what about parking near a junction, parking the wrong way round at night, restricting access for emergency vehicles etc. I recently went and visited my elderly mother who lives in central Cambridge. In her Street the parking is 1/2 on the pavement and road. It is also a one way street, but Cambridge allow cyclists to cycle the wrong way down a one way street. It is also 5minute walk to Railway Station, and NOT a resident only parking area. So after spending over 20 minutes trawling the local area to find somewhere to park. I parked at the end of the street on double yellow lines time on clock. 1350hrs, put up my disabled badge, rummaged for my mother's door key, got my walking stick and her shopping, walked down the centre of the street to my mother's dropped her shopping of and told her I had to move the car. Waited 24hrs and had a look at the photos of my offence.well all I can say is that this nice civil enforcement officer had seen me park up and was tapping away on his machine as soon as he saw me walk away from my car. On the first photo I am literally only a few cars away from my car. Couldn't the nice man/woman have called out and said excuse me you can't park there! No I'm being silly. Paid the fine (low income no benefits) sent emails of to several departments (Cambridgeshire Civil enforcement/Highways etc) guess what no replys. I recently went and visited my elderly mother who lives in central Cambridge. In her Street the parking is 1/2 on the pavement and road. It is also a one way street, but Cambridge allow cyclists to cycle the wrong way down a one way street. It is also 5minute walk to Railway Station, and NOT a resident only parking area. So after spending over 20 minutes trawling the local area to find somewhere to park. I parked at the end of the street on double yellow lines time on clock. 1350hrs, put up my disabled badge, rummaged for my mother's door key, got my walking stick and her shopping, walked down the centre of the street to my mother's dropped her shopping of and told her I had to move the car. Well what did I find? A parking ticket observed from 1354-1355. Parking violation looking at where I had parked on double yellows but newly painted and extended double yellow lines on the kerbstones, Waited 24hrs and had a look at the photos of my offence.well all I can say is that this nice civil enforcement officer had seen me park up and was tapping away on his machine as soon as he saw me walk away from my car. On the first photo I am literally only a few cars away from my car. Couldn't the nice man/woman have called out and said excuse me you can't park there! No I'm being silly. Paid the fine (low income no benefits) sent emails of to several departments (Cambridgeshire Civil enforcement/Highways etc) guess what no replys. I assume that you meant that you did not see vertical yellow lines on the kerbstones indicating no loading? On just double yellow lines you can park with your disabled badge (not your mothers), for up to three hours, as long as you are not causing a physical obstruction. Sadly, not seeing a restriction is not a defence, but I agree that a decent civil enforcement officer would have told you that you could not park there, being there at the time. My advice is that you could write to your mothers MP, and if you are deemed to have a legitimate complaint, that letter will then be placed before very senior officers at the council, and you will get a reply. I suggest that one connected matter, to the points made, is that it is an offence to park on either side of a double yellow line, for the full width of the public highway. So even if there is a wide verge and/or pavement, you are not obstructing the pavement, and are parked wholly on the verge/pavement area, a double yellow line on the adjoining highway means that you cannot park there. Usually because it may block visibility for drivers! Just to complicate matters, if a part of the available space is wholly within the private land, of the house or office occupier, not part of the public highway, bgut still near a double yellow line, it is legal to park there! There is more confusion about parking off the highway, next to double yellow lines, than most other regulations! The same rules apply to a single yellow line, during the operative times on nearby signs. Have fun, I am a retired manager of civil parking enforcement! Just to complicate matters, if a part of the available space is wholly within the private land, of the house or office occupier, not part of the public highway, but still near a double yellow line, it is legal to park there! What you must realise is that any person willingly taking a job that entails enforcing our ridiculous traffic rules should be treated with respect and sympathy, just as you would with any other person with a mental or personality disorder. I once got a ticket in Burnley for parking in a restricted zone, there was a single yellow line, but no visible signs to give the restrictions; and as I was only going to be 10 minutes (to walk to a shop and collect something pre-ordered), I decided it would be fine, especially as there were 20+ other cars parked along the same section of one way road when I first drove through.. The ticket stated it was a no parking area between 8am and 6pm, but no other car was ticketed, and it took me 35 minutes on a follow-up visit to find the one and only sign on the road - 30ft up a wall and tucked away in a blind corner where no motorist could see it, nearly 100 metres from where I was parked. My appeal was thrown out, I would have taken it further, but it meant a 4 hour drive to get to the court as I didnt live locally. I suppose it is typical, the whole county is full of shysters, why should the council be any different. I have read all of the above and sadly whether the councils, police or any other body of enforcement will admit to the following, the sad fact is that common sense goes out of the window, there is rarely any thought process given to the situation at the time and penalty notices are given out like confetti because it is a really good earner for the local authorities. EXAMPLE - Camden High Street one pleasant sunny afternoon and the traffic ahead has slowed down to a stop start crawl!! After some ten minutes or so the reason became obvious - a vehicle broken down ahead. Every vehicle which was affected by this broken down vehicle, including myself passed on the left of this vehicle in order to keep moving. WHAT A MISTAKE!!! In order to keep moving everyone was entering a bus lane. Result- lovely earner for the local wide boys in the council of £80 per vehicle. The response to my phone call to Camden parking authority was YOU NEVER GO INTO A BUS LANE!!! When I suggested to the person I was talking to that had people not gone round the broken down vehicle into the bus lane to keep the traffic moving, then the tailback would quickly have caused grid lock probably going all the way back to Trafalgar Square. Council reply - "that doesn't matter, you never go into a bus lane" The spivs and barrow boys of yester year have given up their trade and are now working in council offices "legaly" screwing the public from their warm comfortable offices. If i park in front of my own dropped kerb which leads to the only access to my garage and my garden can my local council issue me with a pcn? ive asked them but they refuse to answer my questions.The road traffic management act 2004 section 86 paragraph 3 states only i may park there (and anyone i give permission too but not for gain) but my L.G.A have bayed the area in front of my garage and im sure they believe anyone my park there but this would obstruct me exiting my garage and block me in essentially. I packed in front of my residence with a valid parking permit owned by me but was charged for parking across bay. I explained that a school is opposite my residence and that some cars were parked in a manner that I had to pack across bay to avoid obstructing the way and also the school entrance. I spent less than 10 mins indoors to bring some of my belongings into the car. However I was issued a ticket and my reason wasn't noted. Am I not justified? I live in Brixton London and I have been charged to court for failing to pay. Pictures sent to me revealed that the Ticketer didn't wait for 5 mins before issuing the ticket. What is the rule for parking across bay in ones resident,if one has a valid residence parking permit? 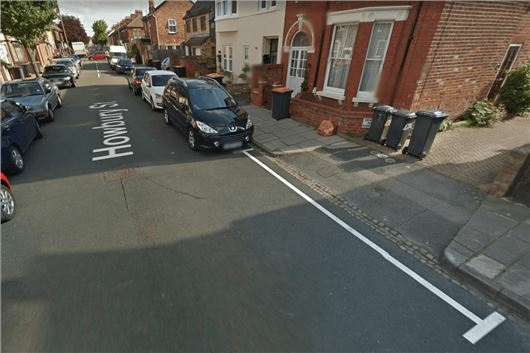 Further to the above - does anyone know if it is still illegal to park next to a 'historical' dropped kerb that no longer obstructs access or a driveway? I parked down a road that it's always tight to park the car and I found a space outside a property but it was on the edge of a dropped kerb of which the owners use it for a motorbike that hasn't moved for a few days. Well the local enforcer that I've not seen for 8 years has given me a ticket. There are no markings or signs saying not to park. So what are your thoughts do I appeal it?